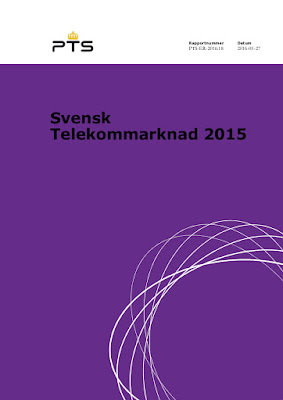 The Swedish Post and Telecom Authority (PTS) have excellent statistics. Every year they do a report of the whole telecom market. There is an english summery from page 10 in above report. They also supply you with the data sets in excel format and the data is available online on www.statistik.pts.se/start_en . Analyzing this years data you can predict when the substitution of the copper network to fiber is complete. If the roll out can keep the same pace as now we will be finished by 2022. Both urban and rural parts. Is this utopia? I don't think so. Already 2017 the first two municipalities in Sweden will be copper free Bräcke (https://en.wikipedia.org/wiki/Br%C3%A4cke_Municipality) and Gotland (https://en.wikipedia.org/wiki/Gotland_Municipality). Building costs from these two areas shows the feasibility of a complete FTTH roll-out in all parts of Sweden without cherry picking. How is this possible? The combined effort of everybody in Sweden (people pay ~ 2000 euro to get a fiber connection to a house) combined with lots of commercial interest and some subsidizing in the most rural parts is the short answer. The Swedish Broadbandforum (http://bredbandivarldsklass.se/Om-Bredbandsforum/The-Swedish-Broadband-Forum) have done and are doing a good job of bringing all parties to the table and creating an understanding in the challenges ahead. Well done Sweden, leading the way. Är tätbefolkat attraktivt i framtiden?